8 WAYS TO MAXIMIZE YOUR BLOG’S S.E.O. Blogs are fun to write (I love creating them!!! ), informative and a great way to promote & market your brand. But, the challenge lies in getting them found on that vast information highway we know as the internet. As enjoyable to write as they are, your blog posts aren’t going to do much good if no one actually gets to read them. The question is, then: how do you maximize your blog’s SEO (search engine optimization) and drive traffic to your posts so they can serve their purpose of marketing your business. As a real estate professional, you run a customer-facing business – your business blog will naturally revolve around offering information and advice on all things real estate. When someone in your locale is looking for information on obtaining a a new home or office space, the first order of business will be to conduct a Google search. What you want to ideally do is ensure that your blog ranks among the first two or three search results – or at least in the top 5! If you’re way down at number 610, no one is going to find you. Over time and with some good old-fashioned work & polish, there’s no reason in the world that you won’t rank in the top 5!! One of the most vital elements that you need to be aware of in order to garner that all-important search engine optimization, is “link maximizing”. In plain English: it’s imperative that you amplify as much as possible the number of links drifting around out there that direct people to your blog. There are a few ways in which to accomplish this. You can add a link to your forum signature or forum block; you can submit links on website directories; you can trade links or you can even purchase links. But remember, it’s also crucial that you use the right link name. If you’re a real estate agent, examples of links that you should use are: “top-notch advice for buying your first home” or “mortgage numbers demystified”. You get the idea. In order for your blog to be and remain successful, you need to keep it updated on a very regular basis. If you start to get a following and don’t post anything for over a month, it’s going to get stale; people are going to stop visiting and move on to find their info elsewhere. Remember: the more frequently you update, the more easily people will be able to find your blog on search engines, because search engines will more readily recognize your blog. But, keep in mind that quality counts just as much as quantity. Keep it interesting and engaging. Your posts should encompass content that will appeal to your visitors – they’re reading your material for a reason and you want to maintain your audience. Buying your own domain name is a really good idea if you’re serious about your blog and increasing its traffic. Create a domain name that is easy for people to remember (size does matter – the shorter the better in this case) and that is relevant to your blog posts. Look for other bloggers in your industry genre and contribute by commenting on their posts. Ensure that your comments are relevant, informative and that they intelligently enhance the content. Also ensure that you include a directive link to your own blog, so that they’ll check you out, too! Speaking of commenting on blog posts, when you do start to receive traffic to your blog and people comment, it’s essential that you respond in kind – this will assure your readers that you value their opinions and will establish a sense of loyalty between you and your readers. Once you’ve written your content, take the time to add a few labels or tags (these are keywords) to your posts. 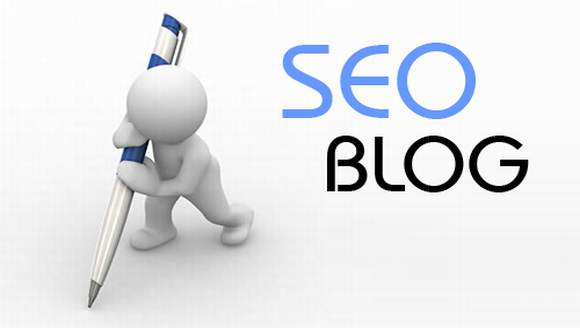 Tags are easily recognized by search engines, much like links. This will be sure to drive additional traffic to your blog as tags are an excellent way of assisting readers in finding your blog when they use search engines. To that end, ensure also that the tags or keywords are used as plentifully as possible throughout your blog posts as these words must be incorporated within your content for Google to consider recognizing the posts. And, bear in mind when writing your content, what keywords or terms readers will use to search for an article such as the one you’re writing – then use those words or terms as abundantly as possible and, of course as tags. To really leverage social media as a means of effectively marketing your business, you should (if you don’t already) also be making use of other platforms such as Facebook, Twitter and LinkedIn. Each of these networks offers you the opportunity to post content about and promote your blog posts. And, again – don’t forget to include a link. This entry was posted in Blogs, Real Estate, Social Networking, Traffic. Bookmark the permalink.